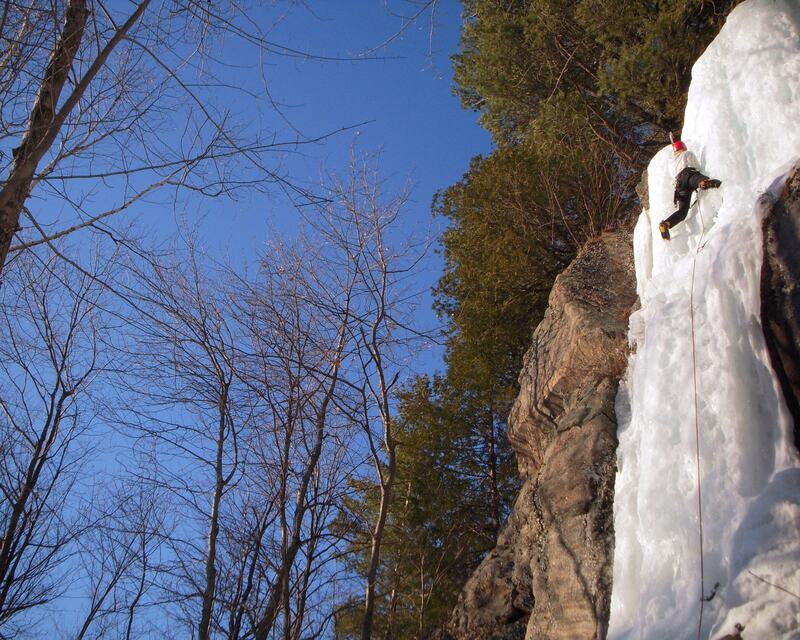 The rock and ice climbing around Lake Kushog offers wonderful opportunities to enjoy the outdoors, but amazingly it isn’t well known. 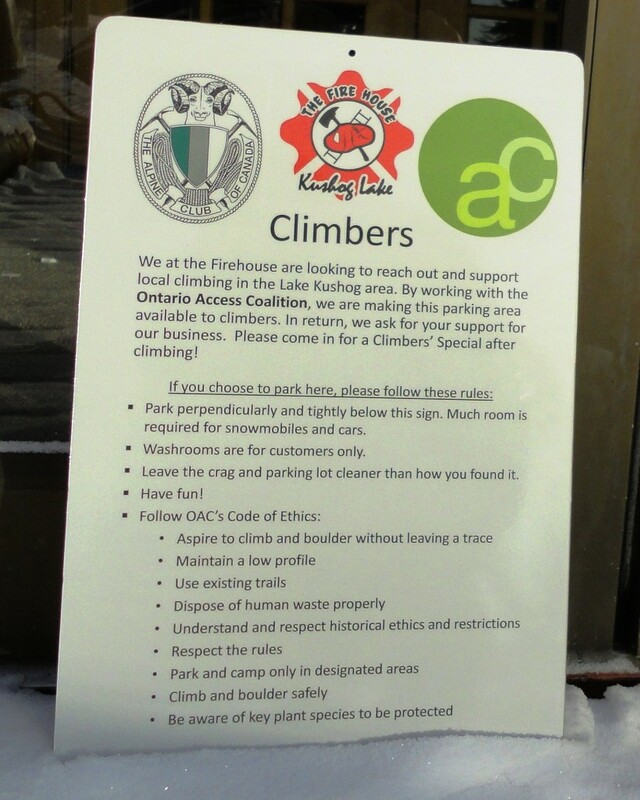 The Firehouse Restaurant has reached out to the OAC to reach out and build a long-term relationship with the climbing community. Together, we have identified areas of concern and erected signage clearly communicating best practices for that area. Even a Climbers’ Special menu item has been announced to encourage climbers to refuel in the restaurant after climbing.